I did this last year, so I thought I'd try to make it an annual tradition. I went through all the artwork I created in 2012 and pulled together my favorites. I was really fortunate to be able to do a lot of illustration work last year and I actually had a hard time choosing these. 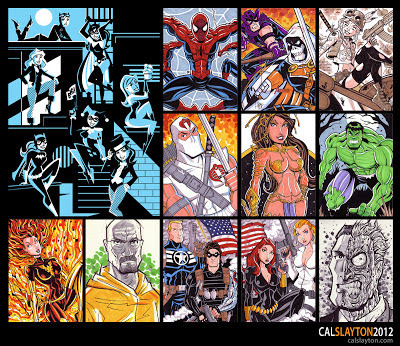 I went back through my blog and counted all the comic book type illustrations. 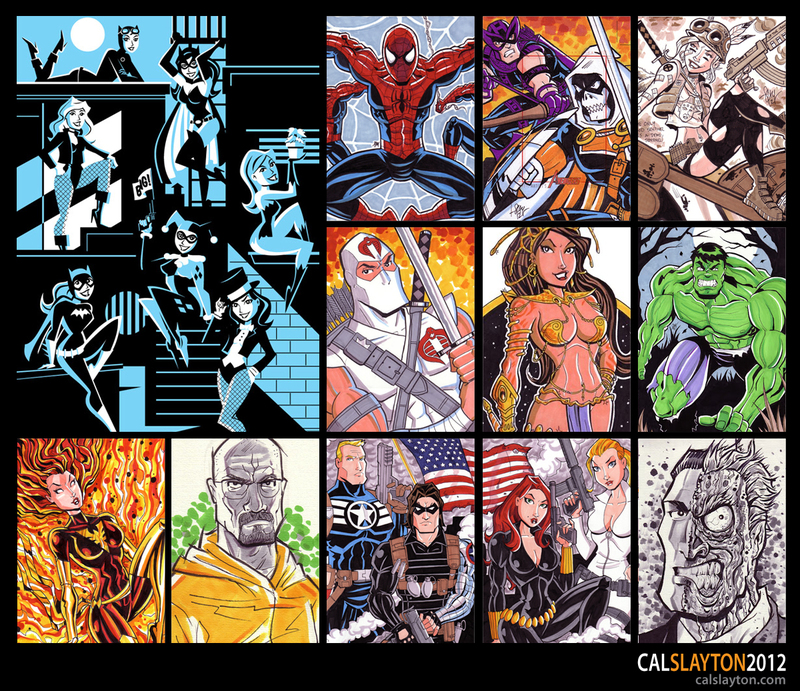 Convention sketches, digital commissions, sketch cards, sketch covers, etc. I did not count any other freelance work like spot illustrations or the strips I do each month in Frisco Style Magazine. It totaled over 600 individual images. I'm very thankful to all the people who kept me so busy. Looking back, I think my work has improved since last year and hopefully I can say the same a year from now.